Classes, Workshops, Teacher Trainings, Retreats... - gilda-yogas Webseite! Join Gilda and Natascha for 108 minutes of Vinyasa Yoga! This class is especially for yoga teachers and advanced practitioners who like to deepen their practice, play, and explore. Regular check-in, no extra costs. Join me for an open level Vinyasa Flow. 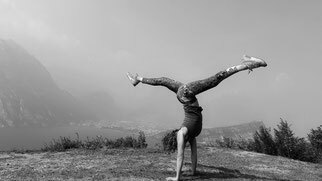 Practice online with me on Ekhartyoga.com, In case you don't know Ekhartyoga yet, check out the website with over 1600 online yoga classes, various styles of yoga, and more than 20 inspiring teachers. If you want to train outside of a studio's fixed schedule, I'm happy to offer private classes for all levels. No matter if you are a complete beginner and want to get familiar with yoga basics or a seasoned practitioner who is looking for new challenges, you can benefit from a one-on-one training. You will get an individual workout plan, custom-made for you and your goals. I'm looking forward to hearing from you. I'm looking forward to being back in Lithuania this March. Join me for a weekend of workshops in the beautiful city of Kaunas. All workshops will be tought in English. Join me for three workshops in Vienna this spring! 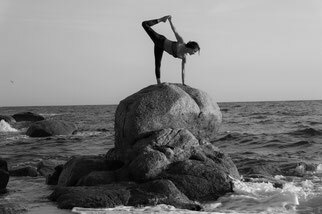 Are you thinking about doing a teacher training in order to become a Vinyasa yoga teacher or "only" to deepen your practice and knowledge? Currently, I'm honored to be on staff of four Yoga Alliance Teacher Training Programmes: Internationally for Frog Lotus Yoga, Ekhart Yoga and in Germany for Happy Yoga, Coolyoga, and Nandi Yoga. Here is an overview of upcoming trainings where I'm co-teaching. The first Frog Lotus Teacher Training in German language!